Today we went to Pulau Pinang via the newly introduced ETS, Electric Train Service. RM59 one way per person. It only took us 4 hours to get there. The train is brand new, it has 2 toilets in 2 different coaches and a small canteen(expensive food). Unfortunately, the seats given were reverse, so it made us felt dizzy. Luckily, we found some empty seats and sat the right forward way. Upon reaching there, we took a cab (RM67) to find a hotel. The taxi driver suggested Waldorf Hotel because just across the street is a food court. However, the food court is only available at night. I was not feeling well, hence I stayed in the hotel and my family went to find food to fill their tummy. 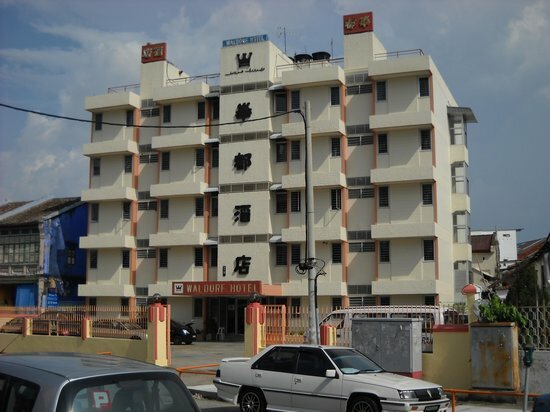 The hotel was very old which matches its budget price for double twin bedroom, RM96. Everything from the design to the furniture looked very 80's or 90's. They only provide us with 2 blanket, when we ask for 2 more, they only give us extra one. The worker there also dress very casually. Prepare to see these coming when u go for a budget hotel. 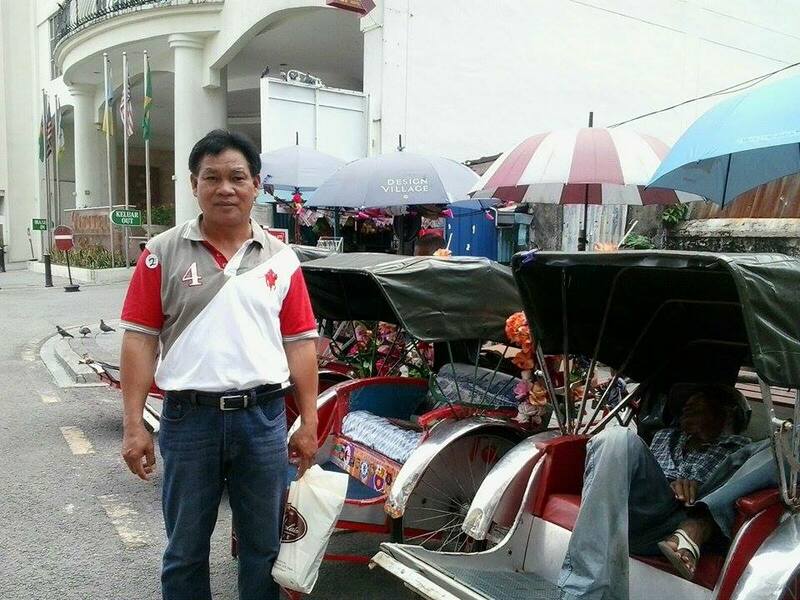 My parents and brother went to jalan-jalan, they saw some rare street art that people didn't post in fb, they saw some rickshaw which charge RM40 per hour for city tour(you'll might want to consider the weather before you take the ride). They visited the chocolate museum and bought a few local white coffees. After resting for an hour, I'm feeling much better. Hence I joined them. We told the taxi driver to take us to the famous street art, but he insisted on Trick Art Museum, so we just went along. Thanks to him, we actually found this place awesome! RM 15 per person. This optical illusion is mind blowing. You gotta go and experience it yourself. This picture is a failure, the staff took it. And I was so regret for not telling him to take another shot. It was supposed to look like I'm sky diving, not lying on the ground like a piece of fat meat. Angle is so important here. This thing made me dizzy. Both the transformer is at situated at the big padang there. After this, we hopped on a free bus ride and had a tour around the city. The buildings are very british colonial style, that's why it's called the city of heritage. You don't expect to see many sky scraper like in KL. Then we head back to our hotel via taxi while dad went and visited his niece at the hospital. At night, we went to the food court across the street. I ordered a japanese style bbq chicken while my mum ordered chow kuey tiao. The people here just assumed that we can speak hokkien, the tao key, the taxi driver. Gosh! At night we couldn't sleep as there were live singing at the food court. Around 12am, the singing finally stopped. Then we can have our sleep. 4am in the morning, mum had to give the taxi driver a morning call as he needs to pick us at 5.30am to the train station. Guess what, our train departs at 7am, that's why! Here's a thing about the ETS, it only has 2 ride per day. The 5pm ride was sold out, so only left 7am ride, we didn't think it through enough and straight away bought it. Now we were so regret, because of the early train schedule, we didn't get to visit Bukit Bendera, ride the tram and cable car. And most of all, I didn't get to visit the Logos Hope ship which coincidentally docked at Penang's jetty at that period. A friend of mine volunteered there. The ship is a missionary ship which travels from places to places preaching out and selling christian books. Click here for the train schedule and e-ticket website. 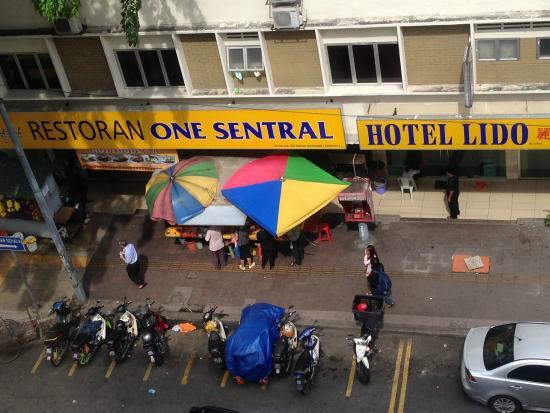 Back in KL, we were there once again searching for hotel. I told my mum to find a better hotel as I don't want to end up in the same dirty bathroom again. We end up staying at Metro Hotel. RM 160 per night for double twin bed. higher class with complimentary coffee, hair dryer and CLEAN BATHROOM! Oh by the way don't go to Lido Hotel, it smell like smokes and it's outdoor. After resting our leg for an hour, brother brought us to visit his residence and his school which is quite far than we expected, Taman Melati. At night, mum and I had our dinner at this nyonya restaurant at Nu Sentral whereas brother and dad go jalan-jalan. Reasonable price, nice ambiance and delicious food. Here ends our 4th day at KL. Stay tuned for the last post!